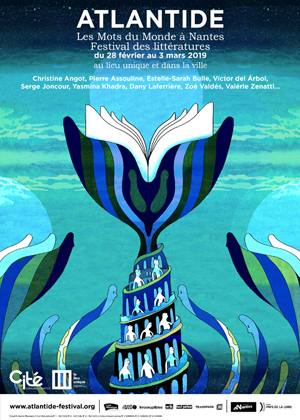 Since it was founded in 2013, the annual Atlantide, Les Mots du Monde à Nantes, Festival des littératures, gathers around fifty international and French writers. During four days, the authors and artists share the words of the world and address major societal issues. There is literary material for everyone’s taste, texts and drawings, and visitors are invited to immerse themselves in big literature works and discover new talents. The programme features meetings, theme discussions, public readings by comedians, youth activities, events in the local bookshops and libraries plus a soirée dedicated to freedom of expression. Atlantide’s artistic director is Alberto Manguel, an Argentine-born author who has written a great deal about reading. He is the director of the National Library in Argentina.